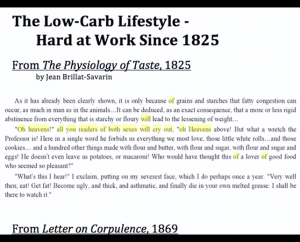 So, published 1825 by Jean Brillat-Savarin, “As it has already been clearly shown, it’s only because of grains and starches that fatty congestion can occur as much as in the animals. And it can be deduced as an exact consequence that a more or less rigid abstinence from anything that is starchy, or floury, will lead to a lessening of weight. ‘Oh Heavens!’ all you readers of both sexes will cry, ‘oh Heavens above. But what a wretch the Professor is! Here in a single word he forbids us everything we most love, those little white rolls and those cookies, and a hundred things made with flour and butter, and flour and sugar, and flour and sugar and eggs! He doesn’t even leave us potatoes or macaroni! Who would have thought this of a lover of good food who seemed so pleasant? ‘What’s this I hear?’ I exclaim, putting on my severest face, which I do perhaps once a year. ‘Very well then; Eat! Get fat!’ So since 1825, we have known that carbohyrates are uniquely fattening foods. This is not a fad, this is a well-known historical fact. And here’s something else, another quote. 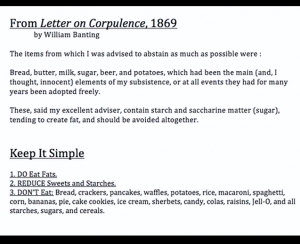 This is from William Banting’s Letter on Corpulence, which was published in 1869. It says, “The items from which I was advised to abstain as much as possible were: bread, butter, milk, sugar, beer, and potatoes, which had been the main (and, I thought, innocent) elements of my subsistence, or at all events they had for many years been adopted freely. These, said my excellent adviser, contain starch and saccharine matter (which is sugar), tending to create fat, and should be avoided altogether. So I’m not trying to tell you that low-carb lifestyle is the newest and latest diet fad out of the million diet fads. It’s not a fad, it’s just that human beings are not made to eat refined carbohydrates and it was published in 1869. This guy was 5’5”, 200 lbs, and he lost 50 lbs by cutting the killer carbs. And you can do it, too. The last part in this section says, “Keep It Simple.” Number one, DO eat fat. You can eat fat, you can eat protein, eat it. Number two, just REDUCE the sweets and the starches. Number three, DON’T eat bread, crackers, pancakes, waffles, potatoes, rice, macaroni, spaghetti, corn, bananas, pie, cake, cookies, ice creams (unless you make those things yourself from your own approved ingredients), don’t eat sherbets, candies, colas, raisins, Jell-O, and all starches, sugars, and cereals. If you follow those three simple rules then you can’t help but lose weight, improve your blood sugar, improve your blood pressure, and improve your cardiovascular risk factors. 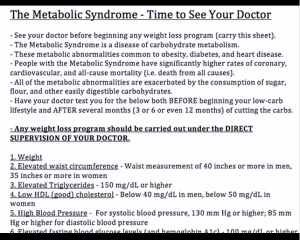 Okay, in the final page in the handout is called The Metabolic Syndrome – Time to See Your Doctor. This is actually the final page we’re gonna cover. There’s one more page which is a comments form, so you should fill out the comments form and fill it out and send it back. But this is the last one we’ll cover in the recording. First of all, this form, you should print out and you should carry it to your doctor’s office. You need to see your doctor before beginning any weight loss program and you need tocarry this sheet. 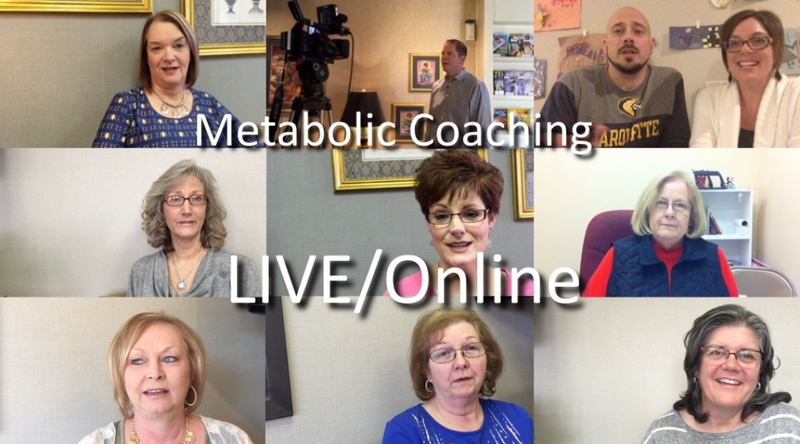 The Metabolic Syndrome is basically a disease of carbohydrate metabolism. They’re a bunch of metabolic abnormalities, they’re in common to the diseases of obesity, diabetes, and heart disease, and people with the Metabolic Syndrome have significantly higher rates of coronary, cardiovascular, and all-cause mortality, which means death from all causes and death from heart disease. 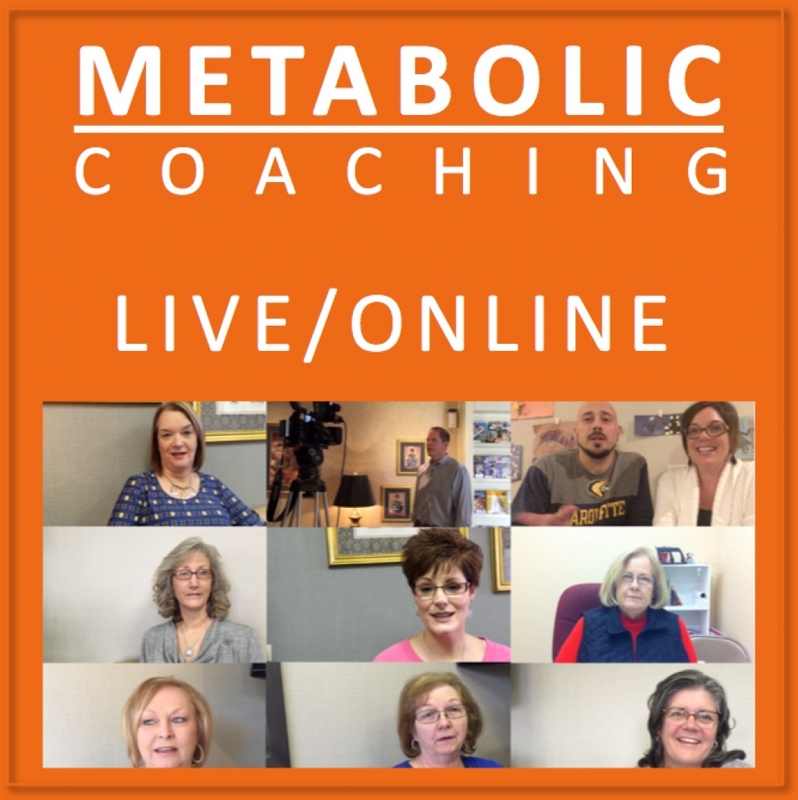 All of the metabolic abnormalities are exacerbated by the consumption of sugar, flour, and easily digestible carbohydrates. That means all the metabolic abonormalities of the metabolic syndrome are made worse by the killer carbs. Have your doctor test you for the below BEFORE beginning your low-carb lifestyle. And then have your doctor test you again AFTER several months and that could be 3 months or 6 months 12 months after you’ve cut the killer carbs out of your diet. And remember that any weight loss program should be carried out under the direct supervision of your doctor. These are the things that you should have your doctor measure: (1) your weight, (2) elevated waist circumference – this is a waist measurement of 40 inches or more in men, and 35 inches or more in women, (3) elevated triglycerides – 150 mg/dL or higher, (4) low HDL (good) cholesterol – if it’s below 40 mg/dL in men, below 50 mg/dL in women, (5) high blood pressure – for systolic blood pressure, 130 mm Hg or higher; and 85 mm Hg or higher, diastolic blood pressure – so systolic is the top number, 130, diastolic is the bottom number, 85. Next, (6) elevated fasting blood glucose level, and your hemoglobin A1c – fasting blood glucodse 100 mg/dL or higher is associated with metabolic syndrome (7) hyperinsulinemia – this is a chronically high insulin level (8) insulin resistance – this is insensitivity to insulin – this test takes time and may not be offered at your doctor (9) glucose intolerance – this test also takes time and may not be offered at your doctor but if they do offer it, it would be useful to know because what you’ll do is you’ll improve your glucose tolerance as you cut the killer carbs out of your diet. Number 10, predominantly small, dense LDL particles – your doctor will give you some sort of calculated LDL number unless you ask him specifically to measure your small, dense LDL particles. And that’s why you carry this form with you because if you’re a regular Joe and you don’t know what these medical tests are, you can’t really go in there and just ask for them so you carry this sheet with you and that way your doctor knows what to test. Number 11 is high fibrinogen – this is a blood clotting factor (12) elevated uric acid -this is seen in gout and pre-gout (13) high CRP – this is a sign of chronic inflammation, and (14) thyroid function tests – the thyroid function tests are not for metabolic syndrome but because low thyroid can be associated with weight gain and it may be possible that you’re gaining weight because your thyroid is not working well. Finally, low carb diets should NOT be used by anyone with severe kidney disease with a creatinine over 2.4. Also, women who are pregnant or nursing should NOT try lose weight. And you really need to see your doctor because you need to ask about any other health problems that you have, and if you’re gonna start the low carb lifestyle and you take medications, you’re gonna have to have those medications adjusted. So if you take medications for hypertension or congestive heart failure, or diabetes, cholesterol, or diuretics, your doctor is gonna have to adjust those medicines. So be sure and see your doctor before you start your low carb lifestyle and carry this sheet with you.